opposite Allan Park, Swanbourne, Western Australia. Book Launched to Happy Throng! ONE HOUR SEEDS ANOTHER (Walleah Press). Thank you to Neil for the fotos. for his very invividual kazoo & bass guitar music! 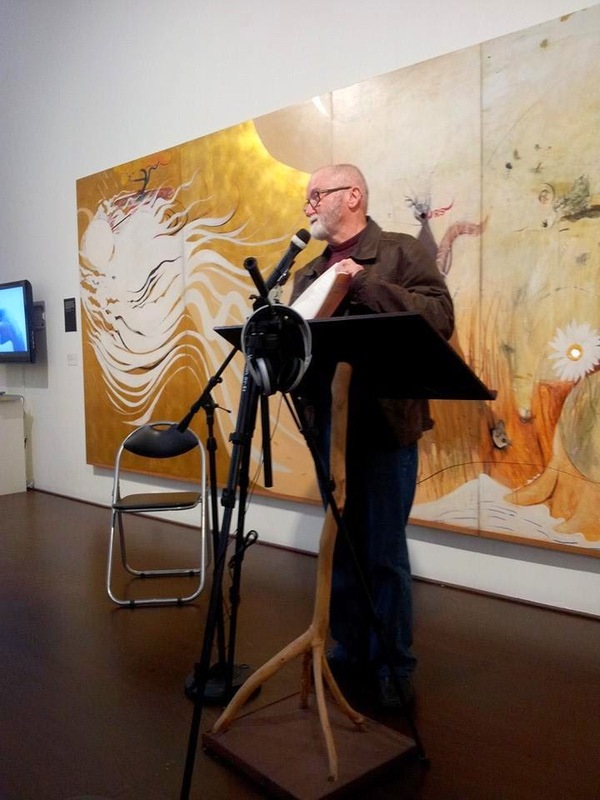 and BRETT WHITELEY painted the back drops. Brett Whiteley Studio, 2 Raper Street, Surry Hills. 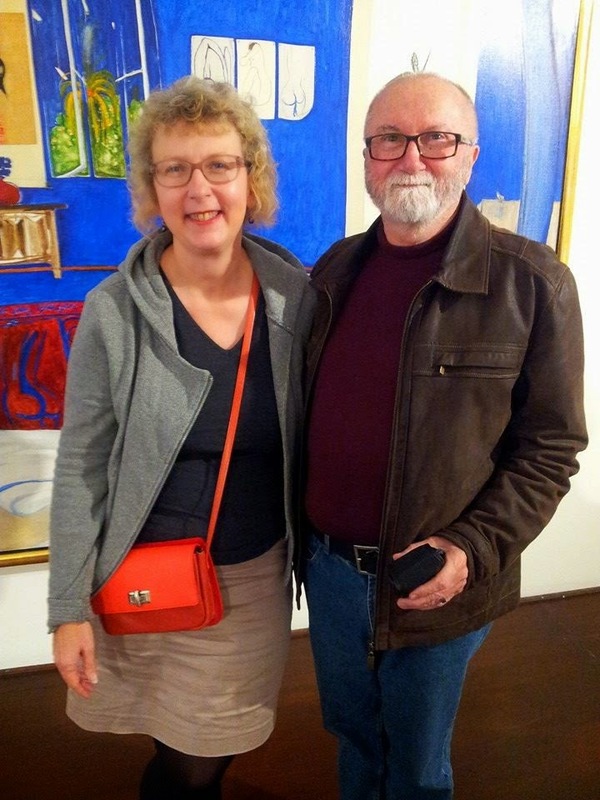 Bags packed, train ticket in hand, my sights set on Brett Whiteley Studio for Sunday arvo 2pm. As I watched, thrones were set in place, and the Ancient One took his throne, his clothing was white as snow, and the hair of his head like pure wool; his throne was fiery flames, and its wheels were burning fire. A stream of fire issued and flowed out from his presence. A thousand thousands served him, and ten thousand times ten thousand stood attending him. The court sat in judgment, and his twelth Collection of Verse was opened. WRIT Poetry Review is a new and bold e-magazine aiming to showcase contemporary Australian poetry, and an emphasis on new and emerging writers. We are currently seeking submissions for the first issue. Please send three poems and a bio to writpoetryreview@gmail.com. Poems may be previously published. The submission deadline is September 1st, 2014. Fill the bag with local books! Thanks to Tom Fullery for this snap. and for friends and relatives who climbed the stairs. its freshness of seeing, and wholly devoid of any cynicism or world weariness. To add to the festivities, FRANCESCA BUSSEY and friends will sing and play. Wines from the Riverina area will be served. shut it out: the world should be more with us. As it is, the self-satisfied moon is fat and flamboyant. their wintry waddling waterwise ways. 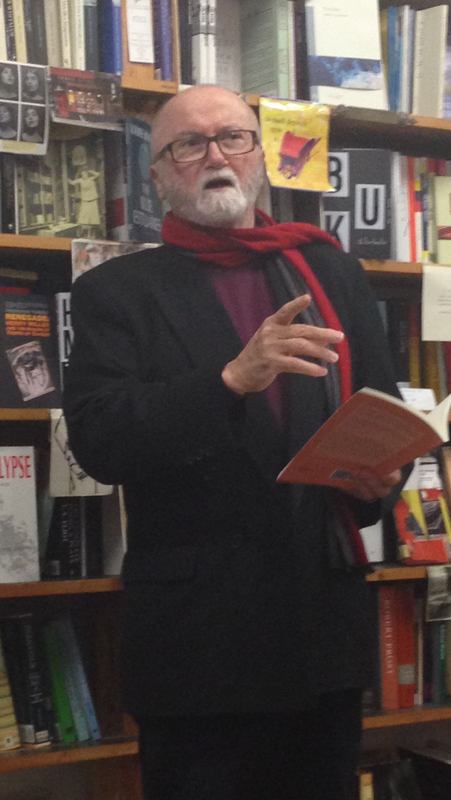 2pm SATURDAY book launch at COLLECTED WORKS - Wine! Poets! Song! 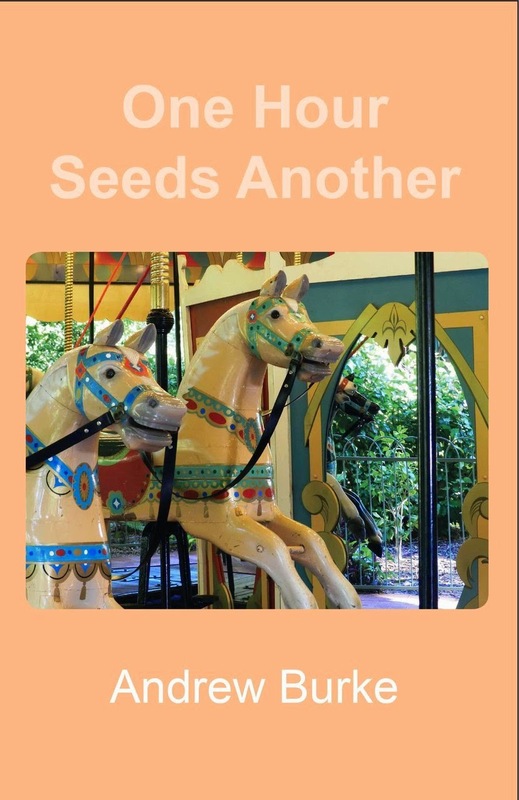 The poems are infused with humour, irony and playfulness but they touch on weighty subjects such as loss, relationships, and the nature of being. There is music here, too, not only in the many references and allusions to musicians from jazz artists to Dylan to Cage and more, but also in the sounds and rhythms that flow naturally from the mind of a poet for whom music is akin to breathing. 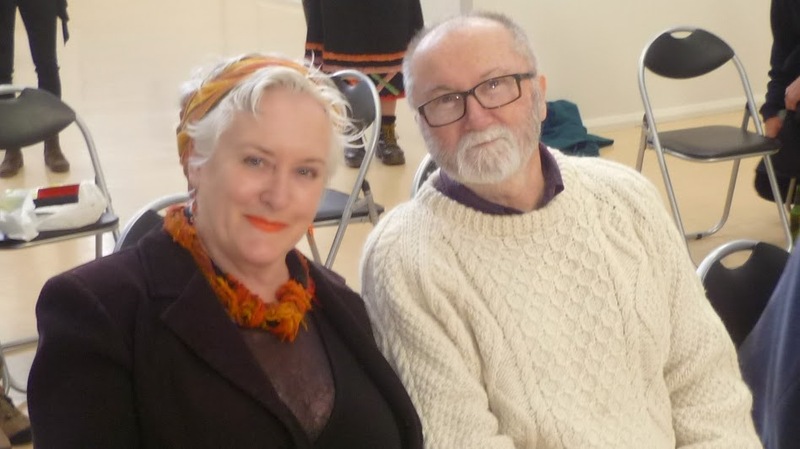 Perth at Mattie Furphy House with Nicholas Hasluck on Sat 2 August at 2-4pm, readings by Anna Maria Weldon, Murray Jennings, Peter Holland and David Hawkes. Wine and nibblies at all events. in their mother’s armoured car. with bellies full of rhino milk. when every cell is rhino cell. 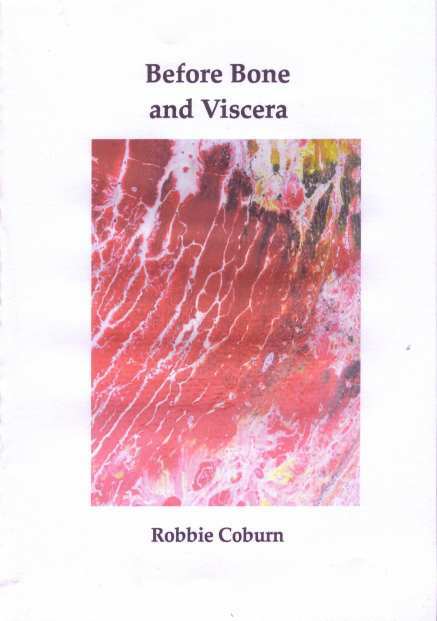 by Mark RobertsBefore Bone and Viscera by Robbie Coburn. ISBN 978-0-949327-01-7 16 Pages. $7.50. Release date 18 July 2014. 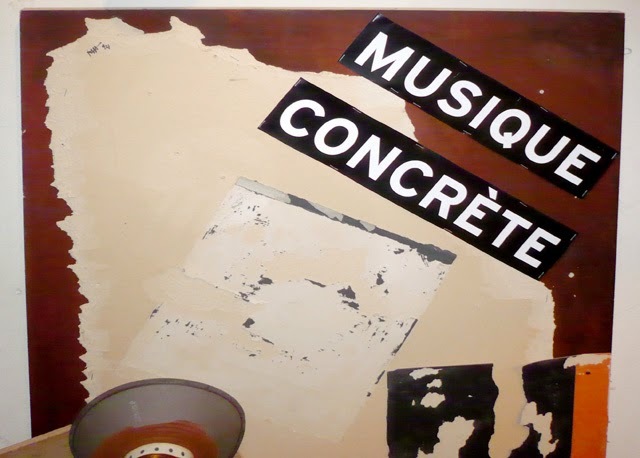 PARIS — Pierre Henry, aged father of electronic music, lives in a small house that also serves as his studio, in the twelfth arrondissement of Paris. I recently went there with a small group of people to hear one of his magnificent musique concrète concerts that he performs live from his studio mixing board. It was an incredible and rare experience, similar in audio effect to his Intérieur/extérieur CD that contains the concert series Pierre Henry chez lui (“Pierre Henry at his place”) organized by the Festival d’Automne in Paris in 1996. Speakers had been intricately placed throughout the different floors of the small house, and we took up seated positions among them so as to better get immersive satisfaction from this master’s mind-blowing art music. 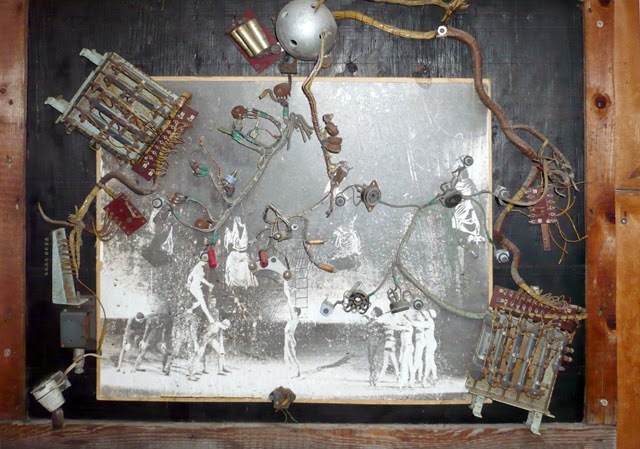 Comfortably seated, my eyes could not but help but wander over the walls, many of which were covered in Henry’s artworks, rather complexassemblages of existing objects and images. The art on the walls matched the structural conditions of his music perfectly, as it too is an art that is assembled from recorded sounds and noises, woven together into a (somewhat) coherent flowing whole. This is an art of sound montage and mixing. A lot of mixing: take for example Henry’s “La dixième symphonie de Beethoven” (1979–1988), where he mixes together some extracts from nine symphonies of the German composer. Little-Plum village was located near Edo (today's Tokyo) on the Sumida River. See Maruyama Kazuhiko, Issa haiku shû (Tokyo: Iwanami Shoten, 1990; rpt. 1993) 97, note 451. Miles Davis biopic - in the Making! Actor Don Cheadle’s obsession with Miles Davis began as a child with the jazz trumpeter’s album Porgy and Bess, a beloved staple of his family’s music collection.Now, Cheadle will make his feature film directorial debut with a crowdfunded biopic on Davis that will focus on the musician’s transition into music after a five-year hiatus—otherwise known as his “silent period”—and tumultuous relationship with first wife Frances Taylor Davis. "To be a poet: it is a grave and austere responsibility, is it not? Well, yes and no. If you've been pondering Shelley, Arnold, Rilke, Eliot, Akhmatova, Hart Crane, Plath, Celan, Adrienne Rich, or Geoffrey Hill recently, you perhaps feel it is—but even those intensely dissatisfied and sometimes desperate poets must sometimes have felt shots of sheer joy in knowing themselves to be poets and participating in the great endless dialogue of poetry. Perhaps no important poet has more consistently acknowledged the manifold pleasures of the vocation than Kenneth Koch (1925-2002). Throughout his amazingly, indeed almost bizarrely various poetry, we can always hear Koch's charismatic voice urging us not to deny the fun in poetry—the fun in writing it, reading it, arguing about it, daydreaming about it, knowing it is in the world." I didn't make the cut :-) Perhaps I'm not the loving kind! 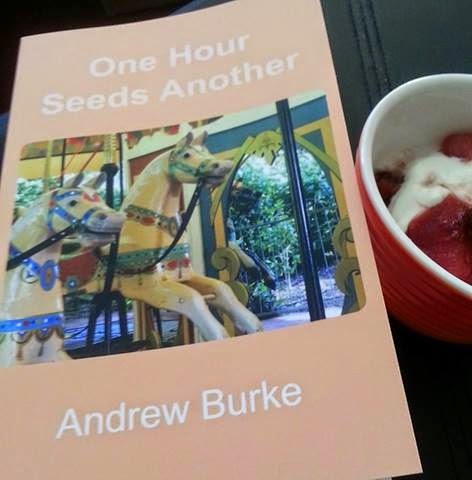 Tomorrow evening's book launch of 'ONE HOUR SEEDS ANOTHER' starts at 5,30 for 6pm and not 7pm as I said before.